S.M. Reine does not go easy on her characters. Not really on any of them. 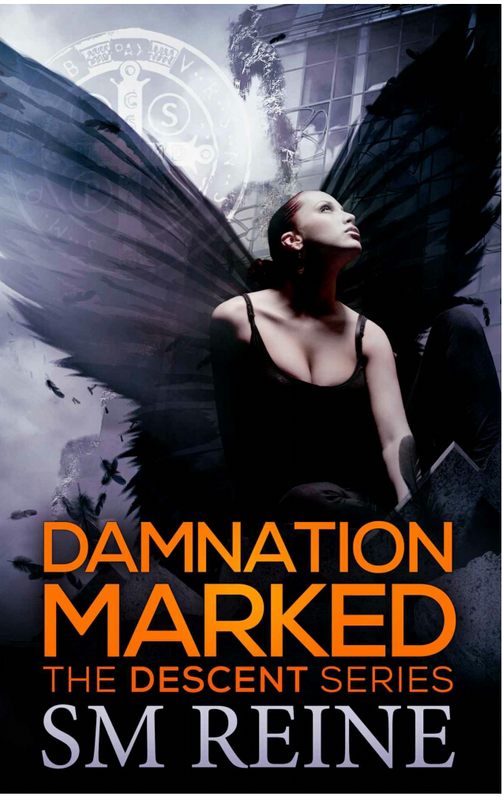 James is not as present in Damnation Marked as he has been previously. The bond that arose between him and Elise in Dark Union is causing both of them problems, and Elise feels betrayed by the way he has handled the whole Stephanie thing. I understand why Elise would feel attracted to James. As we have seen, James was the first person in Elise’s live that showed her that some adults were worthy of trust. That he later betrays that trust in various ways is another matter altogether. Betty was the person that showed Elise that it was possible to enjoy life. Now that Betty is dead, that part of Elise’s life seems to have died along with her. With the Night-Hag’s death Reno has been left wide open to attempts from other demons to take over. Anthony seems to have stepped in as Elise’s unofficial apsis without all of the advantages that a real apsis has. Elise seems to feel driven to keep the gate in her hands – and out of the Union’s. At the same time I also get the feeling that she has adopted Reno as HER town and along with that a feeling of responsibility for all that happens to her sphere of it. That pretty much means everything that has to do with keeping balance between demons, angels and humans. When it comes right down to it, being a balance keeper is what being a kopis is all about; and Elise has been trained to be the best kopis ever since she was extremely young. One of Elise and James’ differences of opinion are about just that. James wants Elise to do kopis things only when he deems it appropriate while Elise realises that it is an all or nothing kind of life. This difference of opinion, one they have had for a while, is one of our first glimpses of the way James justifies his driven and self-absorbed choices. All three of them are messes, complete messes. Despite her awful childhood and less than ideal career Elise seems to be the most grounded of the three. Perhaps it is because of her childhood that Elise is able to stay true to herself and at the same time be of use to those around her. She is going to need that sense of groundedness in her struggles with the “Shadow” and the Union. The Union is like a cult. These people are crazy. They are so able to convince themselves that they are right, that anything goes as long as it serves their goals. James and they would be a good fit. I understand why Anthony is a mess. Who wouldn’t be? This is a fairly regular guy who has had to kill others (granted they are demons) and had his cousin killed while he and she were trying to help a friend. In addition Elise is autistic in the way she handles her relationships. That alone is difficult enough for regular people. Poor kid for being drawn into this mess by his attraction to Elise. Some guys just seem to be ruled by their nether parts (see, trying to keep this g-rated). I personally think that young adults (not the youngest) will be fine reading The Descent series. You need to be prepared for violence, darkness and really messed up people/creatures.